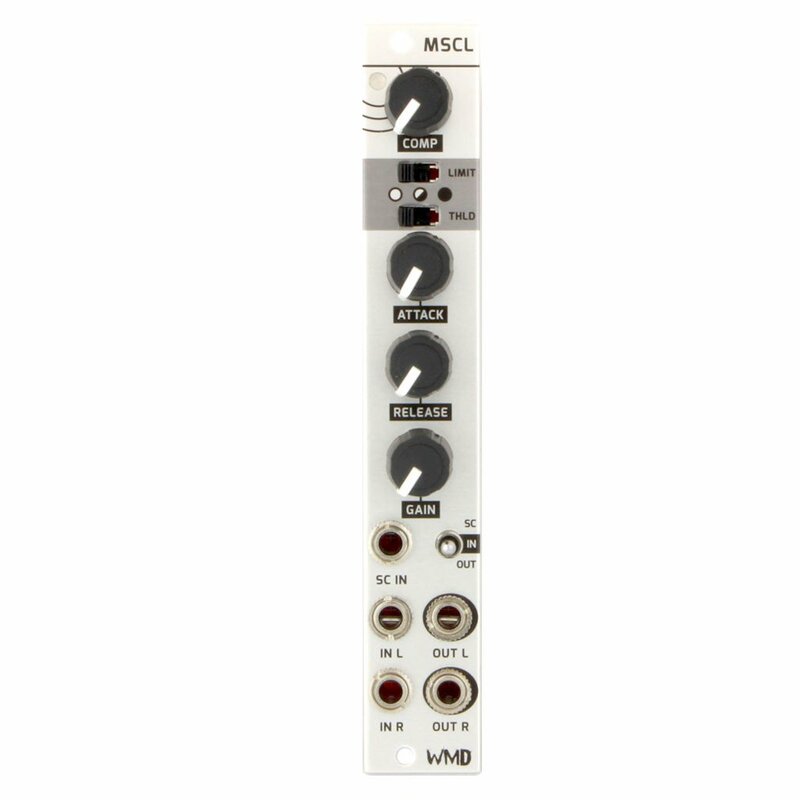 MSCL is a stereo compressor in 4 hp designed for your master bus to help "glue" your mix together. Inspired by the DBX "Over Easy" style compressor, it features independent attack and release knobs, output gain, and an all-in-one knob function for compression which decreases threshold, increases gain and ratio all with one turn. Limit Switch allows the MSCL to act more like a peak limiter. The threshold switch lets you compress signals of different amplitudes. It also features a side chain input for classic ducking sounds on stereo tracks. Comp knob: adjusts makeup gain, threshold, ratio simultaneously. Release Knob: Controls the speed in which the compressor will release. Limit Switch: Limits the comp knob's makeup gain. Makes the MSCL operate more as a peak limiter. RMS and Adaptive Detector Response.